The virtual data room market expands and new competitors enter it regularly. As of today, a potential user has a possibility to find plenty of virtual data rooms easily: the supply proves to be manifold and able to satisfy the extremely eccentric clients. A brief virtual data room comparison shows the significant dissimilarity characterizing the VDRs from the perspective of their cost. To grasp the idea of virtual data room pricing inequality the one is supposed to check out sundry leaders such as Intralinks data room, data room by Merrill, iDeals virtual data room as well as a few others. Each vendor introduces trustworthy and secure data rooms facilitated with options making execution of local and cross-national deals less troublesome. In the example, iDeals asks for $99 a month for a virtual data room hosting an endless number of visitors and offering 1 GB for data keeping. However, it is just the Basic model and the one might select the Professional or Enterprise membership characterized by a higher price. To create an overall image of virtual data room pricing peculiarities we need to name WatchDox and Box virtual data rooms that charge a monthly payment of $15 per user, SecureDocs that would cost $200 every month and Citrix ShareFile available for $295 on a monthly basis. Hence, we can claim that virtual data room pricing depends significantly on a company. Evidently, virtual data room pricing has never been unified. The amount of money charged is dependent on a set of criteria characterizing a selected virtual data room. There are a few main aspects the one must evaluate carefully. A number of projects The more projects the one wants to work on while utilizing one data room platform – the higher price he must cover. A number of visitors and administrators The more people a customer wants to invite into the room and the more people he wants to supervise it – the less pleasant data room cost he must be ready to handle. The duration of membership Virtual data room pricing model hinges on whether the one exploits the service for a long period. Eventually, he would pay less if he establishes long-lasting cooperation with a vendor and buys an annual subscription. Space provided A user might be limited in terms of GBs or pages which he can keep in the room or he may enjoy unlimited storage. The more freedom he gets – the higher price he pays. Functionality Usually the one is not restricted in terms of tools necessary for files keeping and sharing (e.g., financial statement traduction). But anyway a cheaper VDR would be definitely equipped with the less extended package of instruments. To benefit from progressive and unique options a purchaser might need to agree on an upgraded subscription. Safety guarantees Even though contemporary VDRs tend to be equipped with multiple safety tools, to enjoy the best secure online storage the one must be willing to cover the expenses. The basic defense would not cost a fortune but to apply the latest data secure solutions a client would spend quite a lot. The assistance ensured The price of the platform includes clients’ services. Hence, considering a customer wants to enjoy 24/7 support provided in various languages via email, phone, etc. he should prepare extra money. Customization The customization of the room would not be free. The price might be a part of the subscription or a client may need to buy an extra package. The aspects listed contribute to the final price you pay. 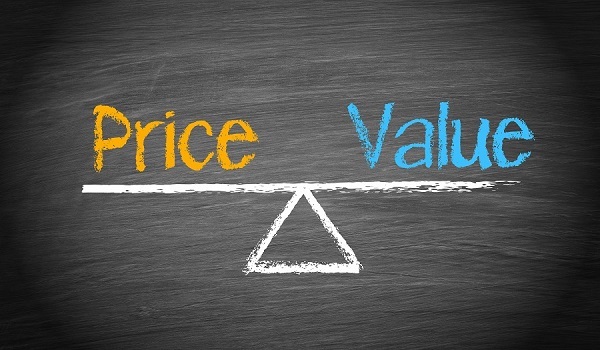 Depending on the mix of these factors you would cover varied costs charged for platforms by one provider and, meanwhile, these characteristics determine the difference in prices set by diverse providers. A potential user may encounter a situation in which two virtual data rooms seem to be pretty much identical, from the perspective of tools offered, but their costs are different. The discrepancy separating online data room providers might be caused by their unlike reputations: the more well-known and respectful the room is – the higher price you may expect. The price might be one of the key arguments influencing the final decision about cooperation with a particular vendor. A brief VDR price comparison comes in handy while you explore the supply and try to identify the most appealing platforms. Unluckily, not always the one offering the instruments you need is the one you can afford. Any customer can always try exploiting a free virtual data room. However, such an option does not seem to be relevant as long as you seek for confidentiality. The plain scheme would guide you through VDR selection. The majority of VDRs offer the prospect purchasers a chance to try the product without any payments. Hence, you must not miss this unique offer and test the free subscription for a few days/weeks to make out if it runs properly and if it is convenient. It might happen that the service that you did not treat seriously because of its price performs its duties equally good as the more expensive one. After you are done with all the trials, you may go through an additional VDR price comparison procedure and reconsider your final decision.